The Stack Method is a powerful tool to pay your debt faster but it’s up to you whether you use it or not. You may start working through the steps the soonest. It’s only by the decision you make right now that you will enjoy a debt free future and live a financially responsible life. Regardless if it’s a debt on credit cards, student loans or a mortgage, most people find themselves weighed down by debt at some point in their lives, this can keep us working jobs we hate just to pay the bills and debt. By learning how to pay off debt fast you can release this burden and remove some of the stress from your life. I'm hoping that this article will help you to have a guidelines on how to pay your debts faster. Here are the guidlines on how to pay your debt faster through stack method by Craig Dewe. Most people do not receive training in handling money and how to live within their means. If you’re in debt then you’re probably one of these people and it’s time to bite the reality bullet. It’s going to be impossible to get out of debt unless you retrain your financial habits right now. You must make a stand against all the marketers trying to take your hard earned money or offering easy finance. You don’t need more stuff to make you happy. What you need is financial peace of mind. So cut up your credit cards or freeze them. I mean this literally. Put them in a container of water and stash them in your freezer. Then when there’s an opportunity to spend, you have time to thaw out (you and the credit cards) and really decide if you need that purchase. Make a list of all your debt with amounts and the interest rate. The highest interest rate should be at the top as this is what you’ll pay off first. Paying off your high interest debt is the key to the Stack Method and paying off debt as fast as possible. Interest is a powerful weapon and right now the bank or other financial institutions are using it against you. Interest significantly increases the amount you need to pay back and often we’re completely unaware of how much that is. For example, if you have a $10,000 credit card debt at 20% interest where you pay a minimum payment of $200 a month, you will end up taking 9 years and 8 months to pay off the actual amount of $21,680 including $11,680 in interest! You can often lower your credit card interest rates by doing a balance transfer. This means moving your credit card to another bank and they will lower the interest rate to get your business. Shop around and try to get the lowest interest rate for the longest duration (preferably until it’s paid off completely). Just make sure you’re reading the terms and conditions carefully so you don’t get stung by the new bank in other ways. Once you’ve done this you can order your list of debt again if things have changed. This is where we improve on your financial control from Step 1. Take a piece of paper and write down your income after tax and all the expenses that you have. This will include the minimum payments on all your debt. Look at your expenses and then rank them in order of importance to you. Look at the items on the bottom of your list and decide whether you’d rather have them or be financially stable. The objective is to create a Strategic Spending Plan where your expenses are lower than your income. You also decide how much you are willing to spend on each area of your life. You can allocate amounts for rent, groceries, eating out, buying clothes and other activities however realize that once you’ve spent your allocated money there’s no dipping into other areas. It also helps to have a Fun Account that you can spend on what you like and an Emergencies Account in case your car breaks down etc. You also want to include in your Strategic Spending Plan as extra amount you’re going to use to pay off debt. Can you afford $20 a week? $50? $100? $200 or more? It’s important that you get a realistic number that you can commit to each week without fail and this is your Stack Repayment. The first part of the Stack Method is to cover the minimum payment on every single debt you have. Any time you miss a payment, you incur fees and these add up quickly. This also includes making the minimum payment on the debt with the highest interest rate. Then for the debt with the highest interest rate (your Target Debt) you’re going to add the Stack Repayment from your Strategic Spending Plan. You apply this Stack Repayment and the minimum payment until that debt is paid off in full. As your official minimum payment decreases you add that extra amount to your Stack Repayment. So as your minimum repayment drops your Stack Repayment increases equally. This will compound how fast you pay off the Target Debt by adding even more to the repayments you’re making. You want to track your Target Debt so you can see your progress along the way. You can also decide on milestones that you’re going to celebrate and reward yourself on. A reward doesn’t have to cost money but if it does then it comes from your previously allocated Strategic Spending Plan. This is an important step as it will keep your motivation going when you feel your willpower fading. Just like you’ve trained yourself to brush your teeth and shower, you can train yourself to manage your money. Feel great that you’re now entering the 10-,20% of people who are actually responsible with money. Once you pay off your Target Debt you have a huge celebration and congratulate yourself. Then you move the Stack Repayment (which includes the previous minimum payment as well now) to the next debt with the highest interest rate. This becomes the new Target Debt and you are using your Stack Repayment amount plus the minimum payment for the new debt. This is why the Stack Method is so powerful. 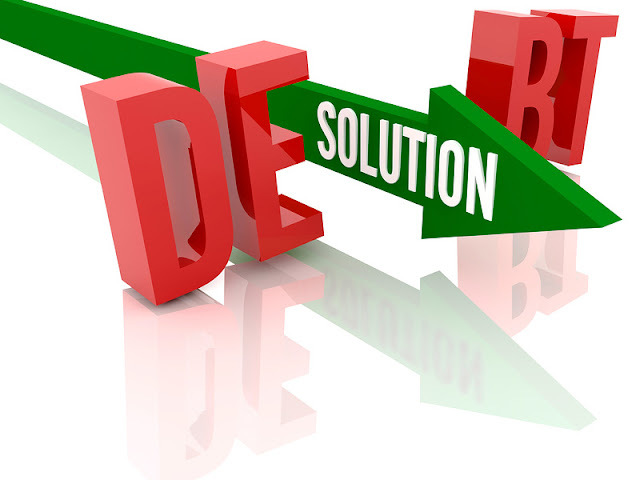 As you decrease a debt you actually increase your Stack Repayment amount. This means the second debt will get paid off even faster, the third even faster than that, and so on and so on until you are completely debt free. During this process your resolve is going to be tested multiple times. Maybe you’ll have an emergency like your car breaking down or the need to travel for a sick relative. The important thing is to not throw up your hands in despair while going back to your old habits. Life will test your commitment to your new responsible money attitude and it’s up to you how you respond. When things go wrong (and I guarantee they will) you need to shrug it off and get back on track. Show compassion when you accidentally go over your Strategic Spending Plan and decide to do better next week.